Wow…I have been away from posting for a long time. I am still here quilting . I am almost half way done with the baskets quilt. I will post progress soon! I was just thinking yesterday that I hadn’t seen you posting lately and was hoping you were okay. You certainly have made a lot if progress on your baskets. Wish I was doing that well on the quilt I’m working on. Also doing fans, but using a stencil. Teddy looks handsome as always. Happy quilting! Tim the quilting looks fabulous. I can see that Teddy is very proud of his contribution. 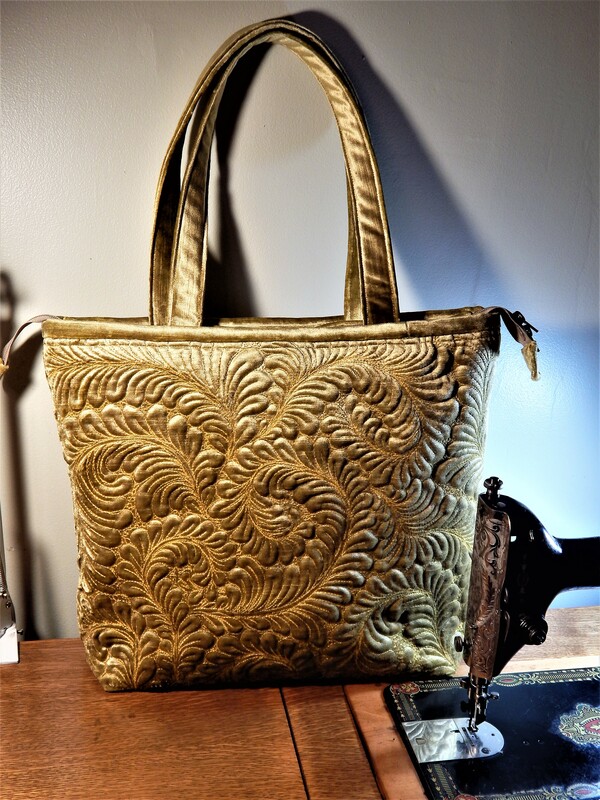 You can never underestimate the allure of a fashionable model. Just beautiful and Teddy is as handsome as ever. It’s looking wonderful and so is Teddy. Is this Tuscan wool batting you’re using Tim? WHEW…was wondering where you were….thought maybe you had that flu that is going around. 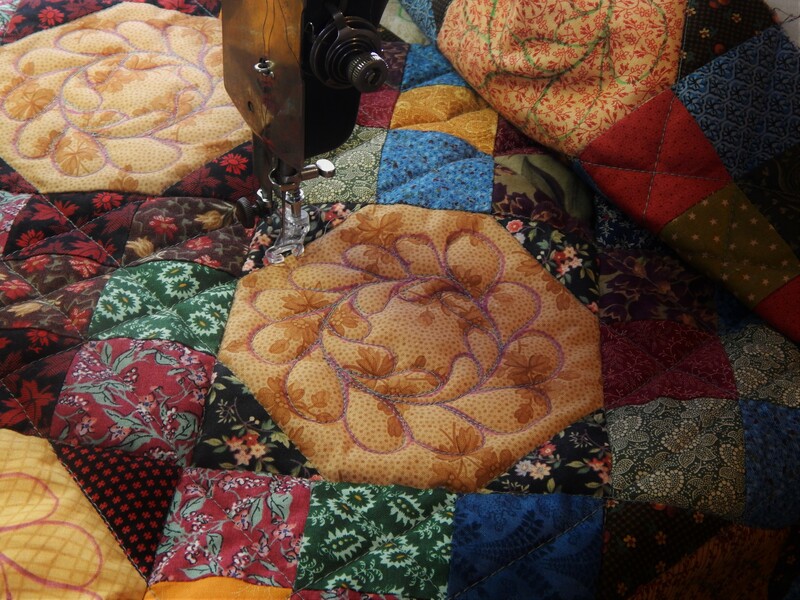 Still loving the fan quilting…and Mr. Ted is looking especially handsome…new tie? 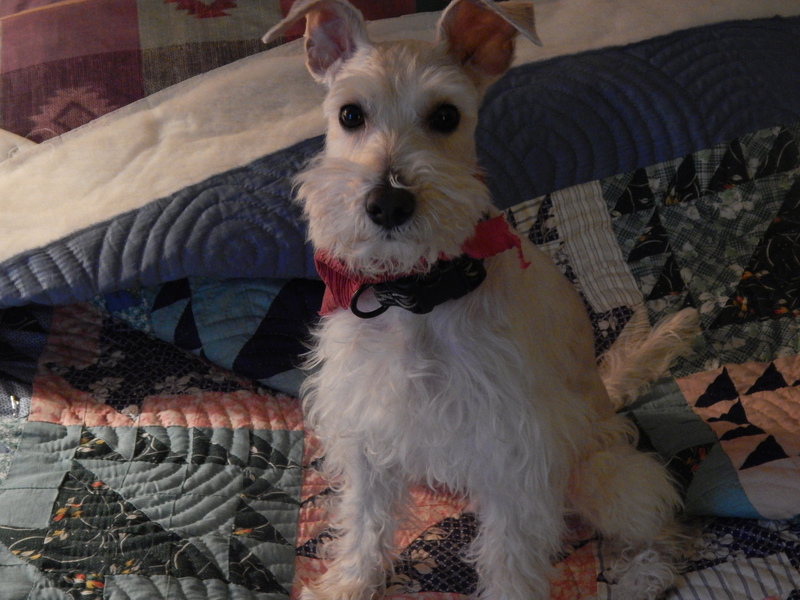 I have been under the weather…..even though I had the flu shot 😦 but still have had some quilting time….just not able to do my normal 6+ hours a day….teddy gets a new tie each time he gets groomed…..he looks good in red! Welcome back! Although you have demonstrated this many times before, I am still amazed at the improvement in appearance between a pieced quilt top (and this one is quite beautiful) and the same top, hand quilted by you. 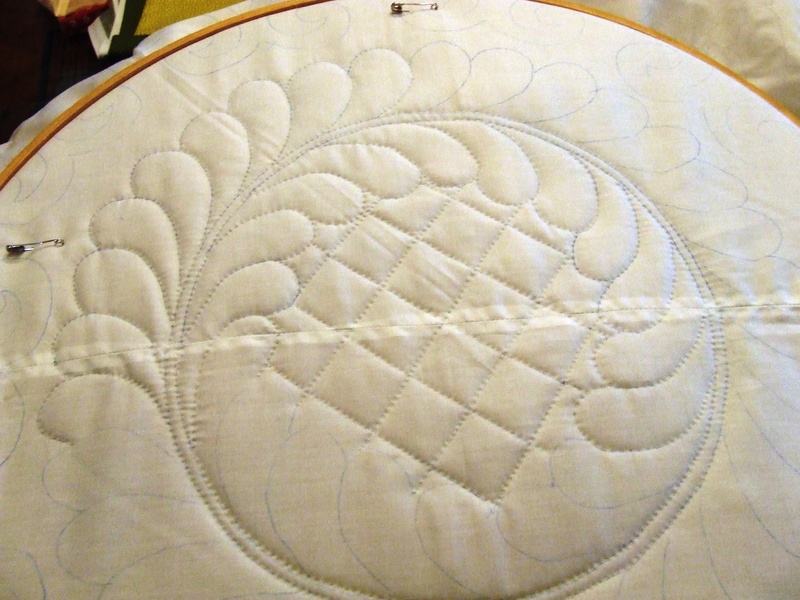 Not to mention, the finished quilt can be used instead of just admired. 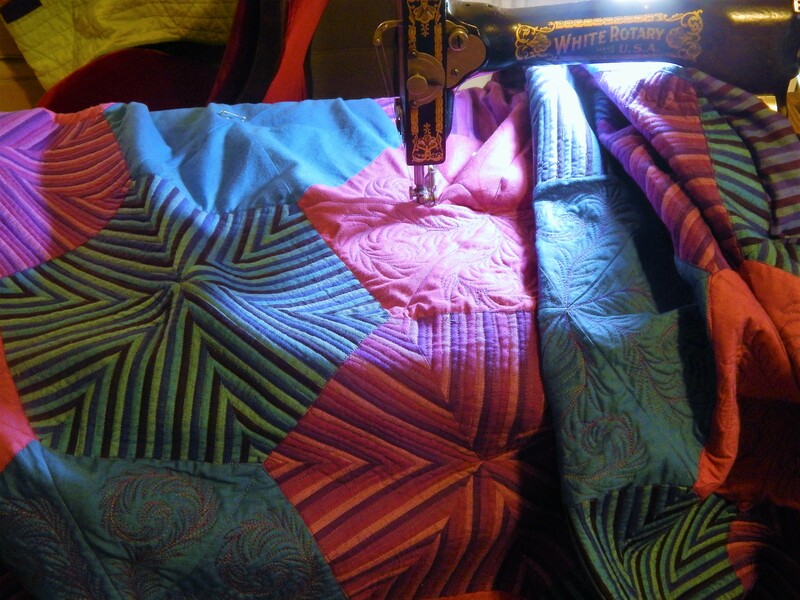 Thank you for quilting and for blogging about your quilting. Glad to know Teddy enjoys your quilting just as much as we do. 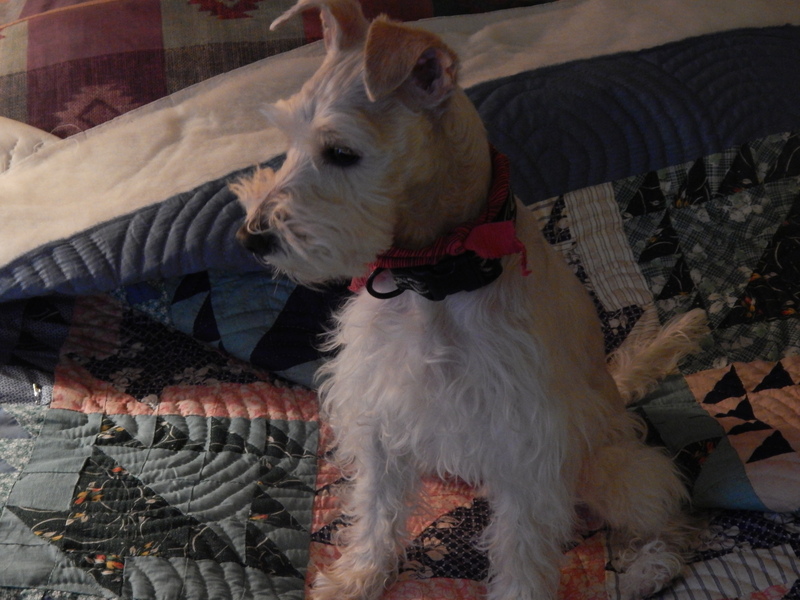 Teddy is a good companion for quilting….he likes it when I quilt fast so he can get into the progress photos! I missed you. As always, your work is beautiful. I had to machine quilt an Amish Baskets table runner, for a quilting buddy, and I did some elbow quilting all over, inspired by yours. Thank you. Hi Tim – I just got home from helping hang quilts at the AQS show in Phoenix & I think I saw your quilt – The Whole Thing. Do you have 2 at the show?